If you want to access your favorite websites quickly or access your very own website quickly, then this feature should come really handy for you. 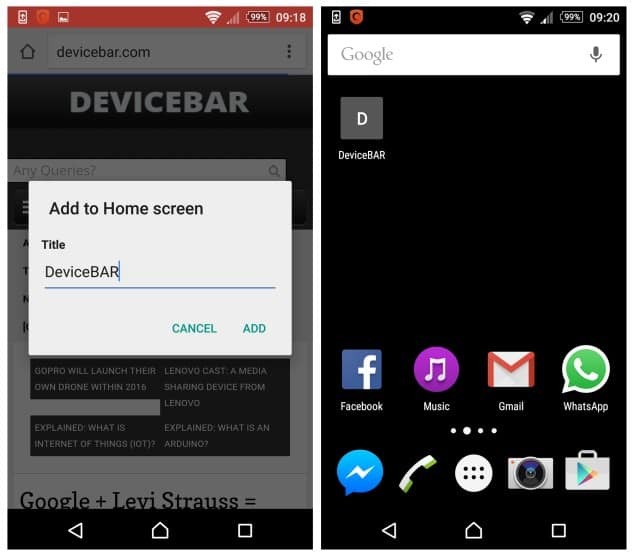 You can add your website links to your Android home screen so that you can access them easily with a single touch. Wanna know how? Earlier we shared an article about the unusual ways to use Google Chrome and now we are back with another short and quick tip. 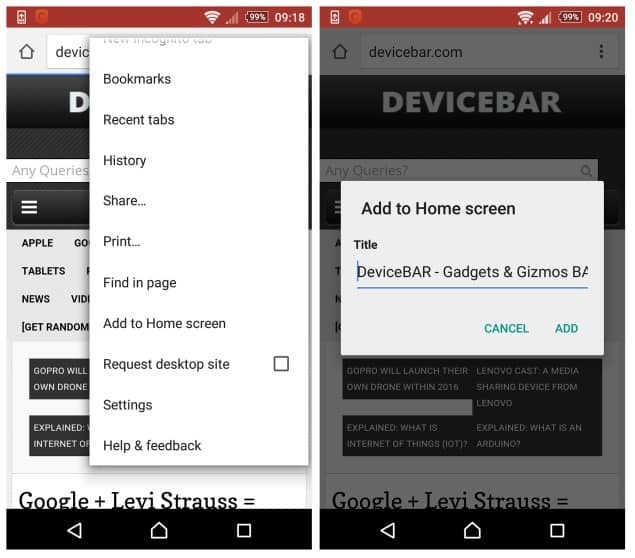 Open your Google Chrome mobile browser, visit your desired website (I opened DeviceBAR, of course), go to the “Settings” > “Add to Home screen” > Enter your desired name (or keep the website name) > click “Add”. Tada! Now you can find the website icon link on your home screen. Previously, to achieve this, you need to bookmark the website first to add it to the home screen, now you can easily do it without that. It should display the favicon of the website in the shortcut icon, but I’m not getting it, will check it once again. If your website doesn’t have any favicon then you’ll be getting an icon with your website’s starting letter. If you are not a fan of Google Chrome, then you can also do the same on Firefox mobile browser. Almost the same steps, you just need to open your desired website, go to the “Settings” > “Page” > “Add to Home Screen”. Hope you like this quick tip, do let us know if you have implemented this on your Android home screen or if you have any issues do let us know in the comments below. Google + Levi Strauss = Smart Clothes?